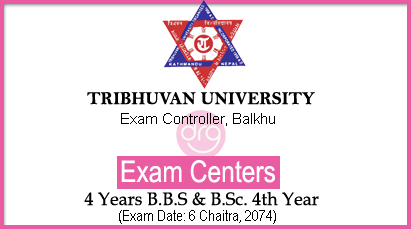 Today, 4 Chaitra, 2074 [18 March, 2018], Tribhuvan University (TU), office of the controller of examination, Balkhu has published the notice regarding the examination centers for upcoming examination of Four Years Bachelor of Business Studies (BBS) and Bachelor of Science (B.Sc) 4th year. 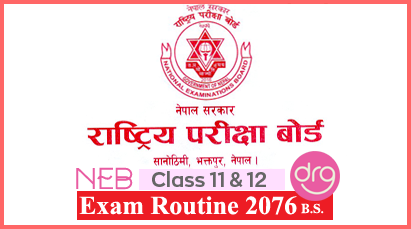 The examination of BBS and B.Sc 4th year is going to held from 6 Chaitra, 2074 [20 March, 2018]. 0 Response to "Exam Centers For Four Years B.B.S and B.Sc. 4th Year Published | TU"